As humans, we tend to get a little bit too excited with the ‘smell of clean’, whether it is that new car smell, fresh paint aroma or the clean linen fragrance – we can be a little obsessed! We all have done it, wondered down the cleaning section of the local supermarket, eyes shifting from left to right, taking in the rainbow of colours and the punch in the face of aromas. Truthfully, that particular isle stinks! and in more way than one! Each and every one of those cleaning products, detergents and laundry soaks have their own chemical cocktail of fragrance, soap additives, and chemicals – and sadly each one of those ingredients can upset out health! Our microbiome and endocrine system are incredibly sensitive and when we add in a daily exposure through our skin (our biggest organ) it can lead to long-term health concerns. This can be seen as headaches, interruptions to our detoxification processes, hormonal issues, fertility concerns and so much more. Washing powder: Today we have a growing range of natural and chemical free options for our weekly load, things such as soap nuts and soap nut powders are a wonderful option to cut down weekly chemical exposure, and if you shop at a bulk store you are reducing plastic too! We use ReEarth ReFill which you can find at the Northern Beaches Markets or at AHARA – the soapnut powder works well in our front loader machine. Dryers: We have been living in our unit for the past year, and we have used the dryer a total times of … once (and that was because I mainly wanted to try out my gifted dryer balls). Utilising the wind and sunshine not only keep your energy bills down, it also naturally kills any microbes and bugs hiding in the fabric. It can take a little bit of planning, or finding a covered spot to avoid the rain but its absolutely worth it. Dryer Balls: if you are going to use the dryer, and I get it, sometimes we need that wet shirt in 10 minutes time – give dryer balls a go. They are made of wool and they move around the dryer helping to circulate the fabric allowing more air to flow through. This means that you are able to have warm, dry clothes in less time. Dryer balls also help to remove static and reduce creases! While we are here, dryer sheets are NEVER a good idea… talk about a chemical s#%t storm. If you are using dryer balls, simply pop a couple drops of organic essential oil onto the ball and off you go. 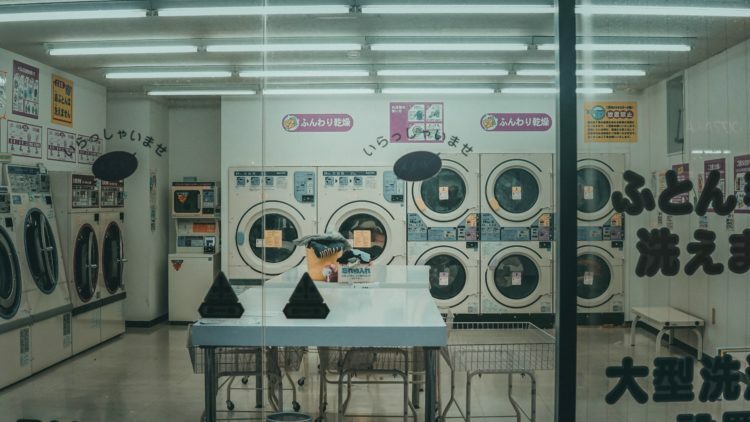 Today there are so many amazing natural and chemical free brands on the market, that wash as well (or nearly as well) as their chemical counterpart, that there is no need to worry about grass stains and spaghetti sauce swirling around your washing machine. It might sound hard, scary and overwhelming however the trick is to start small and see how you go. Even the smallest of change is in the right direction.